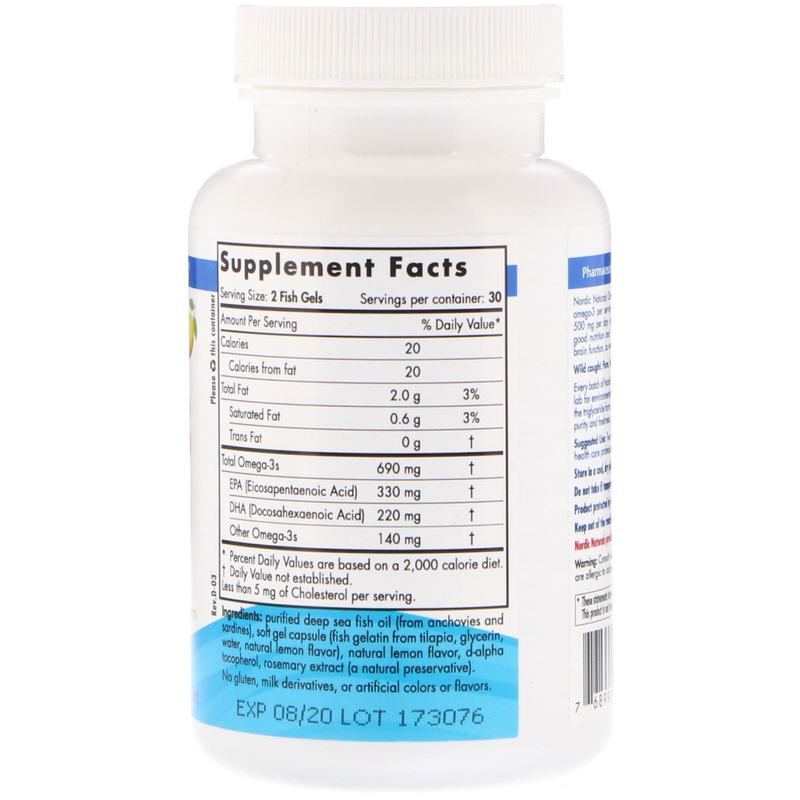 Perfect maintenance omega-3 formula for pescatarian and restricted diets. 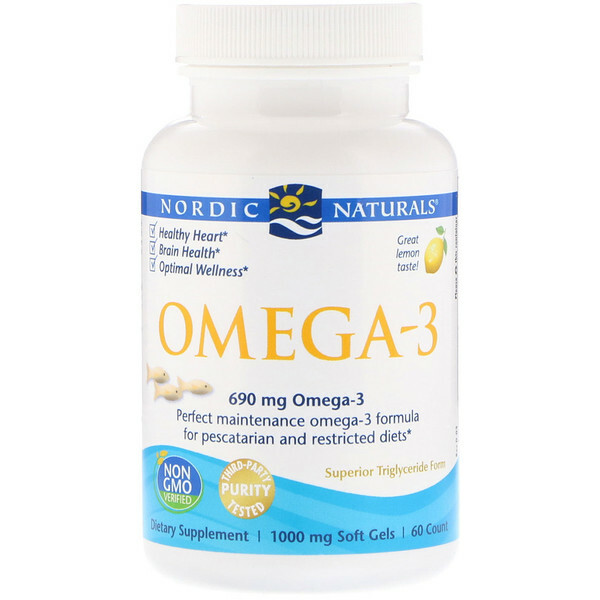 Nordic Naturals Omega-3 in fish gelatin soft gels offers 690 mg of omega-3 per serving, surpassing the expert-recommended dose of 500 mg per day. Adequate omega-3 intake is essential to support good nutrition and overall well-being, including healthy heart and brain function, as well as mood, cognition, and immunity.